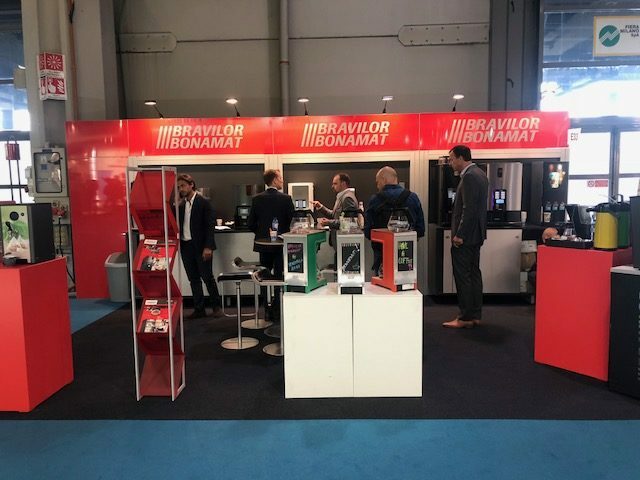 MILAN – At Venditalia 2018, we met with Jeroen Beers, Sales Director at Bravilor Bonamat, a leading manufacturer of professional beverage preparation systems for hot beverages such as coffee and tea. Can you introduce us to your company? Bravilor with its coffee machines entered the Italian market, Italy the country and base of espresso. Why this choice? “We noticed that the filter coffee segment has been increasing. We are the European market leader in this segment and want to establish our brand more. That’s one of the reasons to choose for Italy, to promote our professional filter coffee systems. What expectations do you have in Italy? Which expectations do you have regarding trends in the coffee market? And what about consumption habits? Are you working on a cold brew machine? In which ways are the Bravilor machines sustainable? “If you go to our website, you can read more about Bravilor Bonamat and sustainability. And, I think that sustainability can be divided in two ways. If we look to our machines, we have been building them with durable and recyclable materials. Of course, we want our products to be energy efficient too. Therefore all fresh brew machines carry an A energy rating and most machines for instant ingredients are rated A+, in accordance with the industry standard EVA-EMP3.0b (energy consumption protocol). Your company has a philosophy regarding job hiring young people. Can you explain to us what does the recruitment of trainees consist of? Today, speed is everything. Can your machines meet the tight deadlines that consumers want without sacrificing quality? How can a foreign company that produces espresso machines succeed, compared to the Italian market that has made espresso into a real national symbol? Water is an essential element preparing both espresso and long coffee. What does your company say about it?